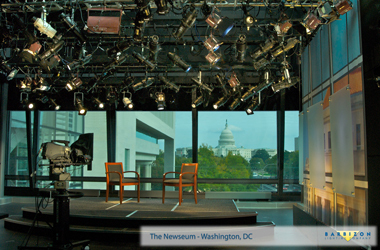 Barbizon has been providing and installing rigging systems for over 25 years. 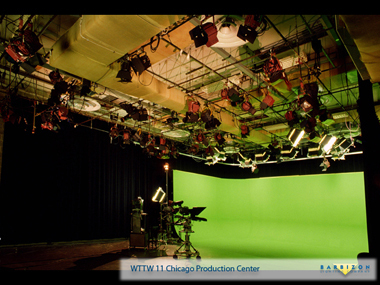 Whether it’s a pipe grid in a studio or a motorized system in a performing arts center, Barbizon is a trusted source for all your rigging needs. We have ETCP certified rigging technicians and employ only ETCP installation riggers. We are a supplier for all the leading brands, including Clancy, DeSisti, Daktronics and ETC. We are a supplier for many truss and motor manufacturers. Barbizon also supplies draperies and track from the finest mills and fabricators. Barbizon is your source for rigging supplies and equipment. 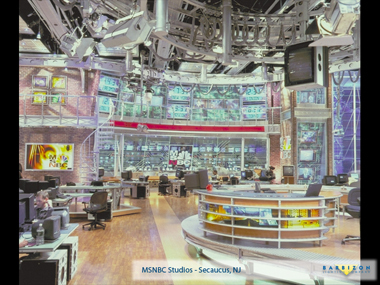 Barbizon Lighting has partnered with several impressive projects. 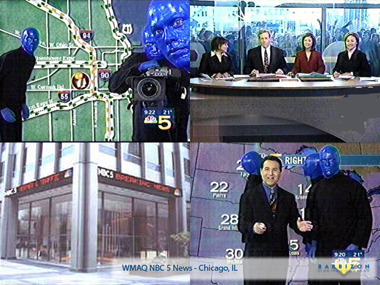 We’ve provided equipment and products for complex sets and stages. 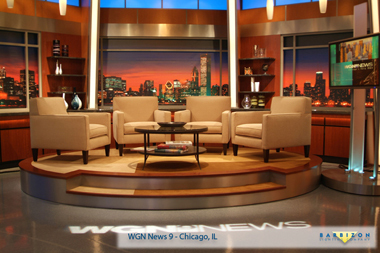 Our portfolio includes such designs as the ESPN Digital Center Studios, Palazzo Verdi and WGN News 9 in Chicago. Barbizon is an international leader in rigging systems. On every job we have full time project managers to assure your installation is done correctly and safely the first time. You can trust our skilled team members to ensure proper execution of your project. Barbizon continually engages in education to ensure our rigging technicians are aware of the current procedures. Palazzo Verdi, an office building in Denver, Colorado, is a LEED-certified (Leader in Energy and Environmental Design) structure built in 2008, and home to the Madden Museum of Art. The vast atrium houses three permanent pieces of art: a chandelier, a 55-foot tall mural, and a floor decorated with a 42-foot labyrinth. Lonnie Hanzon, designer of the striking centerpiece Chandelier Chardin, brought Barbizon Light of the Rockies in to provide the lighting system. The challenges were significant. The client demanded aesthetics suitable for such a palatial space, low maintenance operation, and that the Art maintained its rightful place as the center of focus. 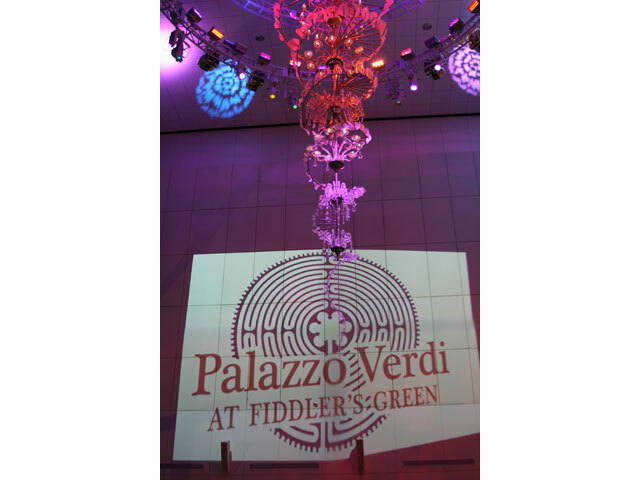 Furthermore since Palazzo Verdi was a LEED certified building, energy efficiency and sustainability were vital to maintaining the spirit of the project. 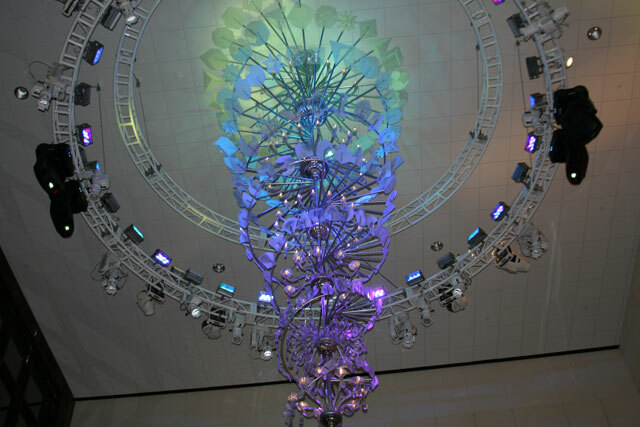 Barbizon provided Total Structures custom fabricated Circular Truss at the top of the Atrium to encircle the Chandelier. Barbizon’s ETCP Certified Riggers worked carefully to install the rig from a system of sway braced support cables without damaging the chandelier or the floor. The Chandelier was lit with 40 Selador Vivid LED luminaires, each unit with custom lensing and a very purposeful focus. The tip of the 44’ Chandelier is lit with ETC Source Four CDM units with Ocean Optics Seachangers. The net effect provides a dynamic lighting effect which can simulate motion down the spiral with brilliant color, all designed to bring the delicate glass artwork to life. 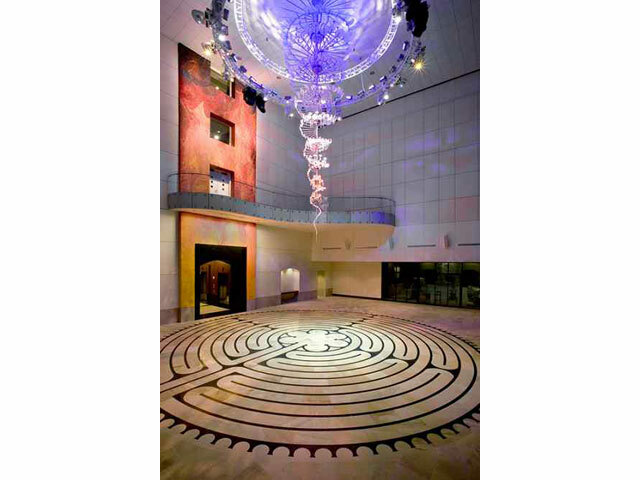 The Chartes Labyrinth marble floor is also illuminated with Source Four CDMs with Seachangers to provide numerous options for dynamic color fades and chases. High CRI CDM sources were used to precisely illuminate Ascension, a 55’ high mural that did not need additional color effects to make its bold statement. 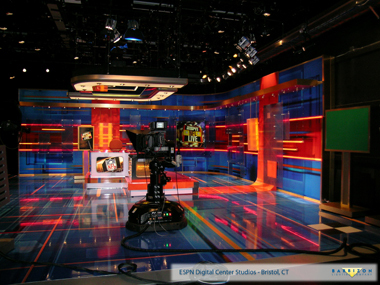 BARCO / High End Systems DL2 Fixtures allow the ability to create collaged projections, dynamic imagery, logos, signage and messaging without physically accessing the units. 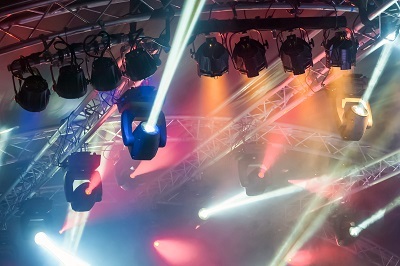 A complement of Martin MAC 700 Profiles and Wash units provide the ability to utilize the rig for performance lighting without the need for rental or truss access. The entire system is pulled together with sophisticated programming that can be run manually, via touch screen, or automatically by way of an astronomical time clock. The Barbizon Rockies systems team rose to every facet of the challenge from Integration through Project Management and Technical Services to create a spectacular system and attain the lofty aspirations of the client and designers.